I have a class reunion this summer. Along with the registration they asked for a current picture. As I thought about recent pictures, I thought of this one from Yellowstone National Park. I always stop at this sign along the Madison River when I enter from West Yellowstone. The cool shadows over the river invite me. The tempting riffles offer the hope of some easy fish. 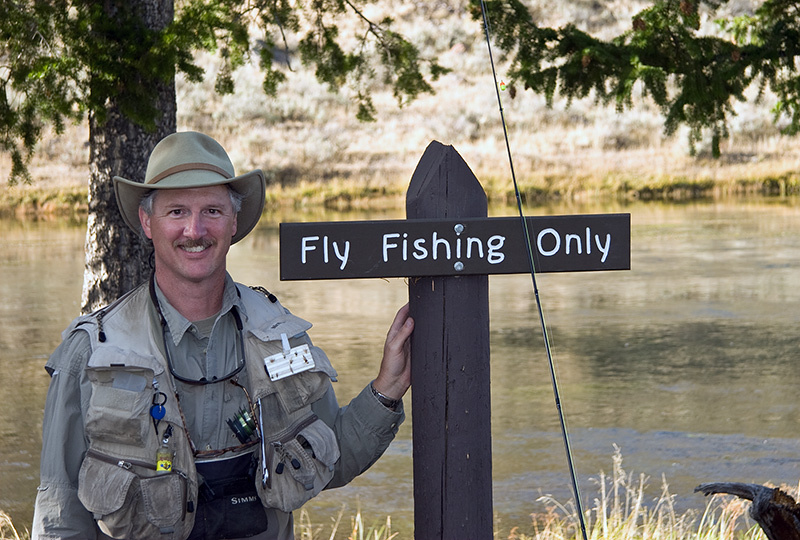 But the I love the sign, “Fly Fishing Only”.Wouldn’t it be great if there were more of these.